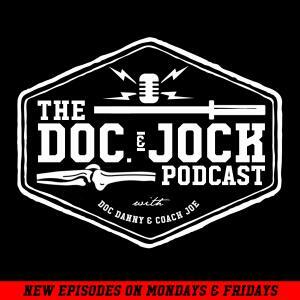 On Episode 238 of the Doc and Jock Podcast we catch up with Joel Jamieson to talk conditioning & heart rate variability & recovery. Joel Jamieson is widely considered one of the world’s foremost authorities on strength and conditioning for combat sports, having trained many of the sports best athletes since 2004. He is the author of the bestselling book Ultimate MMA Conditioning and is a contributing writer to several top magazines and a frequent guest speaker at conferences and seminars all over the world. Joel has worked with and consulted extensively for teams and organizations ranging from Navy SEALS to Life Time Fitness and his BioForce HRV system is used by teams in the NFL, NBA, MLS, NCAA, and more. He is best known for an individualized approach that is both based on solid science and yet practical to apply. Joel created 8WeeksOut in 2009 to help clear up the misinformation and confusion surrounding energy systems. Since then, the site has become one of the authorities on strength, conditioning, and performance.